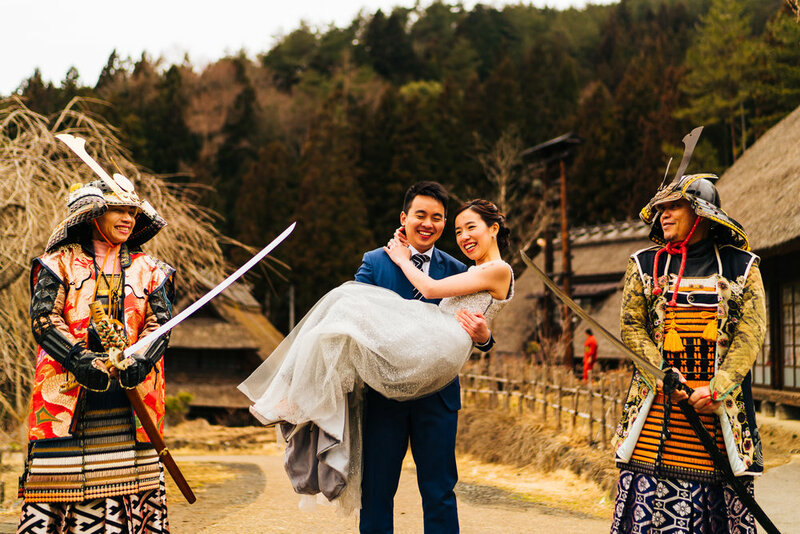 Destination Pre wedding Shoot in Japan // 5 Tips for overseas pre wedding prep. Its been some time since we updated the blog and since then we have been incredibly blessed to be super busy. In 2017 we endeavour to update this blog more often. So for this blog post we will share with you our experience for shooting in Tokyo Japan and 5 Tips for having a successful shoot in Japan or any other overseas location. This applies especially for flights and accommodation. Book 3-6months in advance of your trip in order to secure good rates for travel to the destination of your choice. For example, for our accommodation this trip we decided to stay at a local Ryokan. Thankfully we booked the accommodation early as the rates almost doubled closer to our departure date. 2. Plan your itinerary with your photographer. Most overseas locations are much larger than Singapore and require much more travel time to move between shooting location. For this trip, our couple share with us a couple of locations which they were looking to visit. From there our team came up with a detailed itinerary/shooting schedule for the photoshoot. Factoring in travel time, rest time and hair and make up. We also took into consideration sunrise and sunset timings in order the determine how much day light we had for the shoot. Depending on the season in your destination country, hair and make up may start very early in the morning. For our couple, it started at 4am that morning! 3. Hiring a local driver. Having a local driver with us was invaluable during this trip. Not only were we able to rest during transit between locations, the driver also had extensive knowledge where we could do outfit changes and touch up for hair and make up. Do search online for deals for local drivers. They usually have a full day package or go by hourly rates. 4. Prepare for cold weather. If you are intending to visit a country during autumn or winter the temperatures will get very cold. Unbearable at times! For this recent shoot, we experienced temperatures about 7 Deg C. Especially for the bride, remember to pack warm clothing to wear over your wedding gown to in between shoots. In the midst of all the travels and planning don't forget to have fun and enjoy yourselves. If you are stressed it will show in your photos.